Each year on April 25th, thousands of Australians and New Zealanders head to the World War One battlefields of France, Belgium and most importantly Gallipoli (Turkey) to remember the sacrifice of our young soldiers during that horrific conflict. ANZAC Day is a poignant day of remembrance for all Aussies and Kiwis, the one day we step out of our self-indulgence to honour our past. Tomb of the Unknown Australian Soldier. Artifacts from all conflicts that Australians fought in. Historical records, both official and personal, of those conflicts. 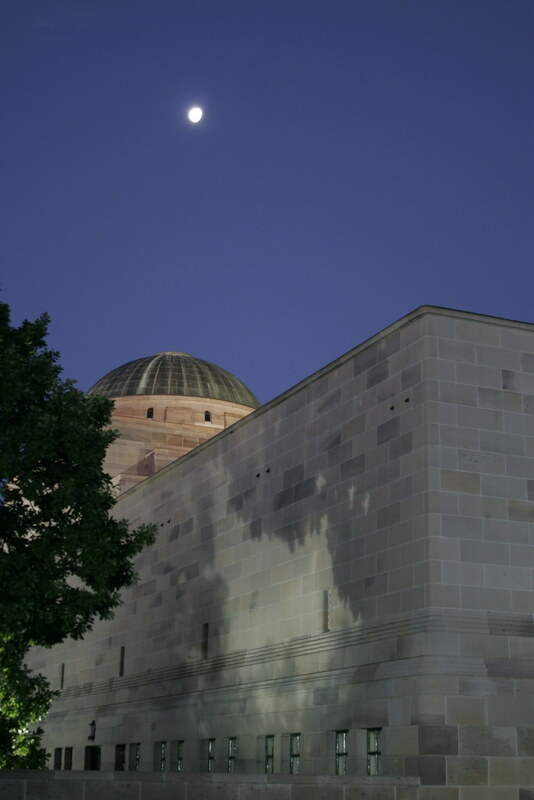 The entrance to the AWM leads you past the Roll of Honour where the names of those who fell during conflict are inscribed to the domed hall that protects the Unknown Soldier. It is a place to reflect and quietly remember. 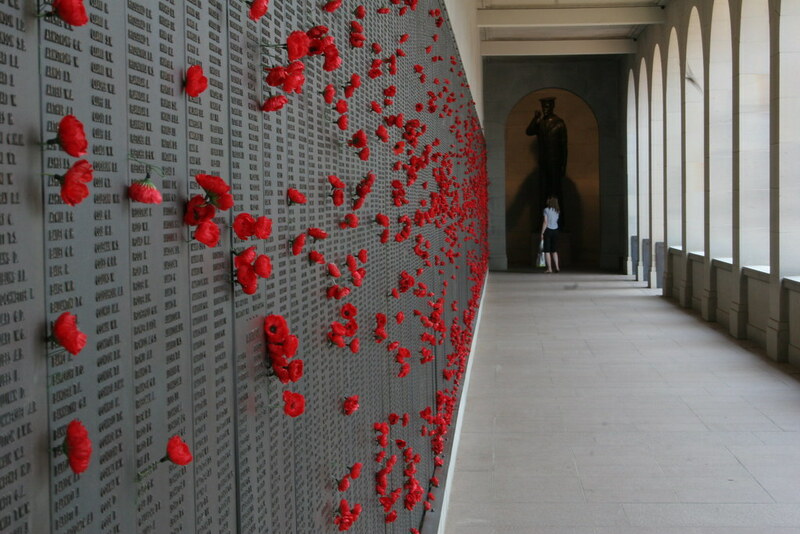 On the walls, small red flowers are placed next to names of the fallen. These are poppies that grow freely on the battlefields of Europe and are used to remember the blood and sacrifice of those who fought there. The Collection galleries display the relics of Australian military action throughout the world from the Boer War to Afghanistan and Iraq. Kids tend to marvel at the technology, the Lancaster bomber (G for George) or the armoured vehicles but for me the most memorial items are more personal. The flying boot ripped open by a Viet Cong bullet that entered the floor of the pilot’s helicopter or a bayonet similar to ones used by the Light Horse to charge Beersheba. Visitors should also take time in the Hall of Valour to read the accounts of soldiers, sailors and airman awarded Australia’s highest honour, the Victoria Cross (each simply inscribed For Valour). Reading these accounts I am constantly amazed at what people will do to save their mates on the battlefield. The Australian War Memorial is open daily from 10am to 5pm (except Christmas Day) and entry is free (Donations are requested to help maintain the exhibits). Plan to spend at least two hours to truly appreciate the collections and for first time visitors, the free guided tours are great starting point for your discovery of Australian military history. Photography is permitted but without flash or tripods.